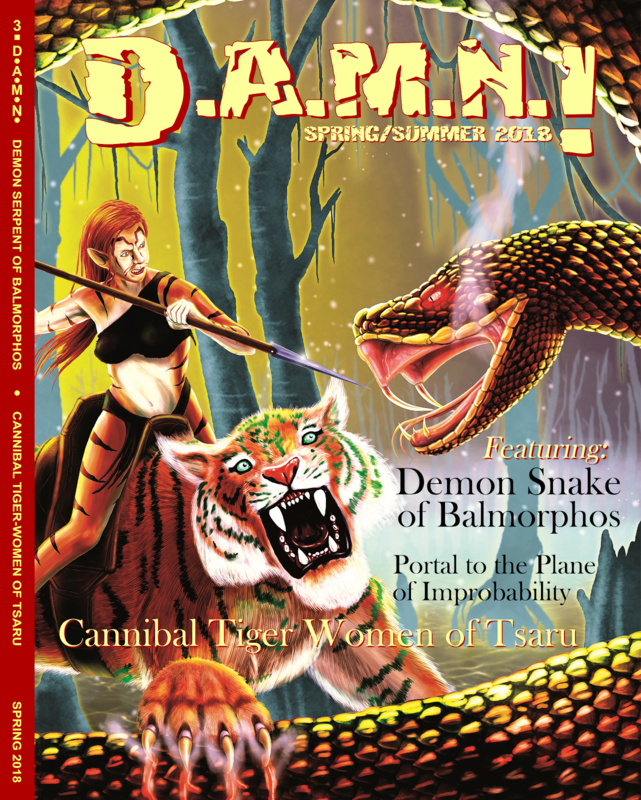 DCC Adventure Magazine and News hot hot hot second issue! 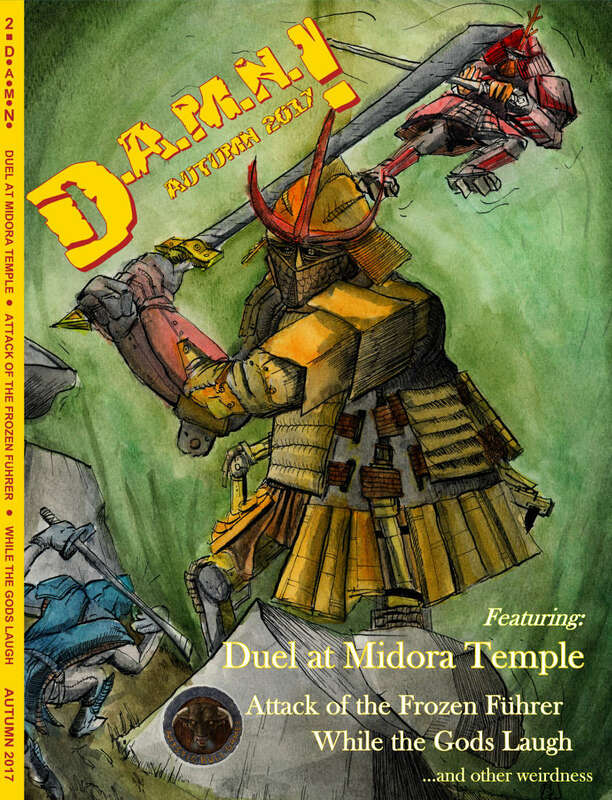 This issue we have a 10th level funnel from Marc Bruner, a Nazi-punching romp from Julian Bernick, and a Japanese-themed 0-level funnel from Paul Wolfe. New demonic patron from David Persinger! Swashbuckler class from James Spahn! Previews from Angels, Daemons and Beings Between by James Pozenel and Operation Unfathomable from Jason Sholtis. All that and a very special episode of Flammable Hospital. Cover by Thomas Novosel. Additional art by David Persinger, Jason Sholtis, Stefan Poag, Doug Kovacs, and Marc Bruner. 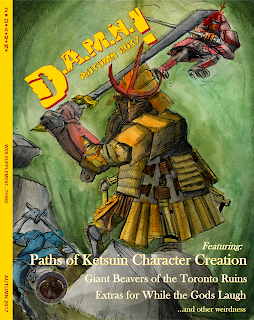 As always we have third-party DCC publisher and community news. Shoot us a note if you have a comment, and be sure you include "Okay to Print" and we might include you in our next issue! damn-mag@mysticbull.com. 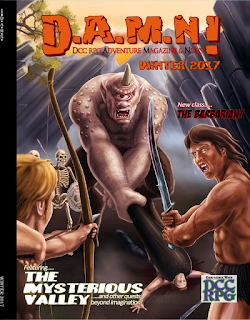 DCC Adventure Magazine and News returns! 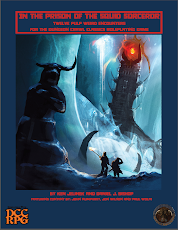 Within these covers your players will struggle through steamy jungles, climb windswept peaks, claw your way over glaciers and tundras, and fight creatures from beyond ken. See the preview for the table of contents for our Winter 2017 issue. This quarterly magazine is packed with news, articles and adventures to support your DCC RPG campaign. For five hundred years, Cragbridge has stood abandoned and cursed. Within lurk the haunts and spirits of those that served Lord and Lady Etheril. Some of these ghosts inhabit the forms of strange insect creatures, while others guard tombs deep beneath the shattered bridge tower. Recently, the good knight Sir Dougal Skavok disappeared in the ruins, and when the search party returned, they too were missing a few members. But, they carried strange treasures found there: coins marked with a double-headed raven, gemstones of great value, and other ornate and gilded items. They also spoke of the curses and haunts that lurk under the ruins of Cragbridge! 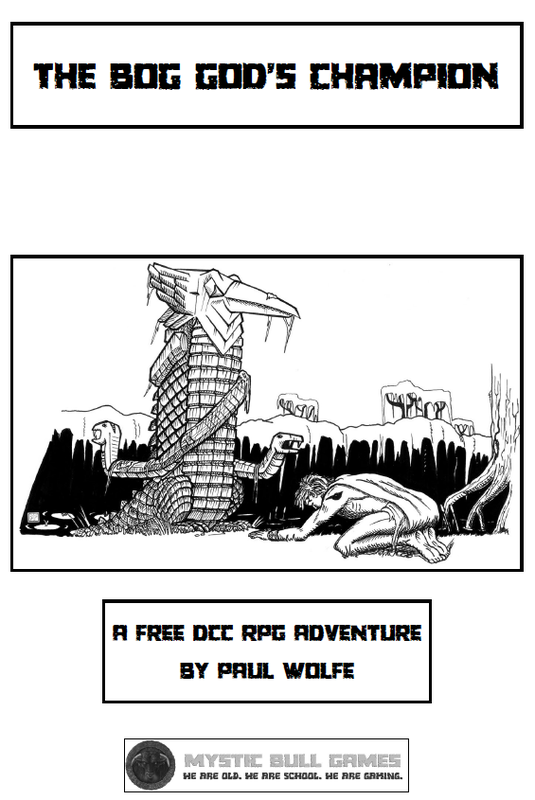 Featuring all original monsters, two unique magic items and a hell of a lot of fun. Can you find the mysterious doctor before the Nazi Rocketmen Find You? 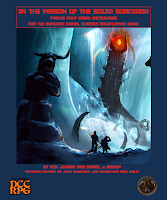 Brave the Icy Chinese World of Khalkin Gol! 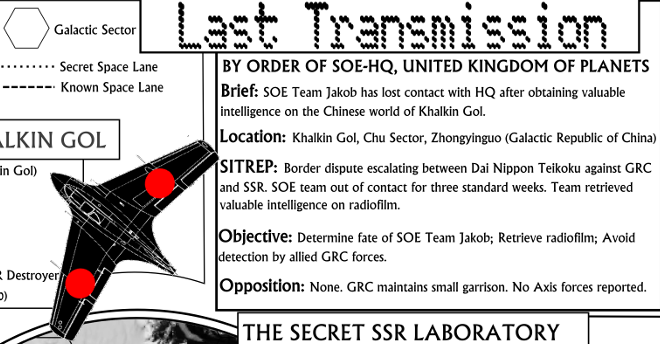 Brief: SOE Team Jakob has lost contact with HQ after obtaining valuable intelligence on the Chinese world of Khalkin Gol. Can you find them before the forces of DAI NIPPON TEIKOKU take control of the planet? 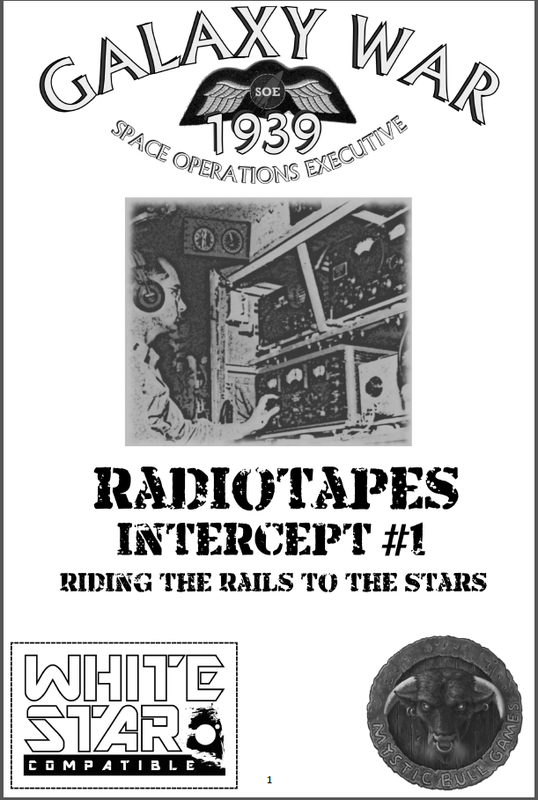 Last Transmission is a follow-up adventure to the Award Winning Bug Hunt, set in an alternate history, where the early days of WWII were fought in space. 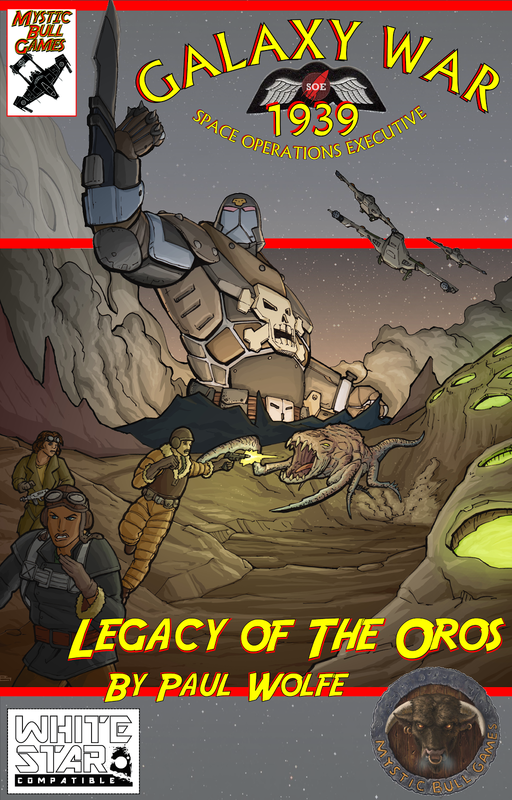 Look for the expanded adventure: Operation Hammerden. Coming soon! By Order of the Oberfuhrer! All weltkriegsmarine are called to the planet formerly known as Churchill IV to exterminate invasive fauna introduced to the planet to quell dissidents. 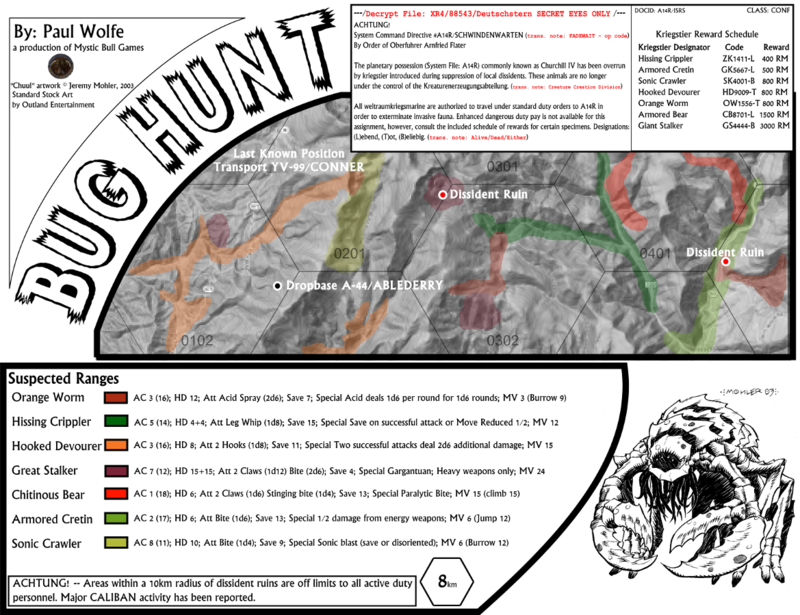 Can you survive long enough to collect the reward? 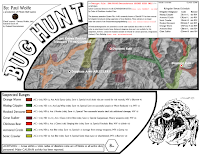 Bug Hunt is an AWARD WINNING White Star compatible, OSR sci-fi one-sheet. 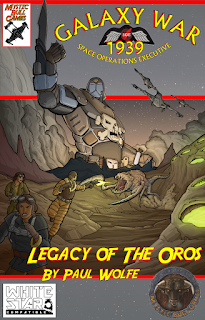 This item is Pay What You Want -- Look for an expanded adventure set in the same universe, where the characters must contend with the mutant caliban, raging kriegstier, as well as Hauptmann Abendroth and his dreaded Raketekommandos! NOTE: Cover image, Chuul, is copyright Jeremy Mohler, 2003; Standard Stock Art, Outland Entertainment. A Secret Buried for an Aeon is About to Sprout! From beyond our dimension, a living seed has festered here for an eon. Within it lurks the nascent form of Akavala, the Ravenous Tree, dread ruler of a shattered world and its carefully gathered and subjugated protectors. 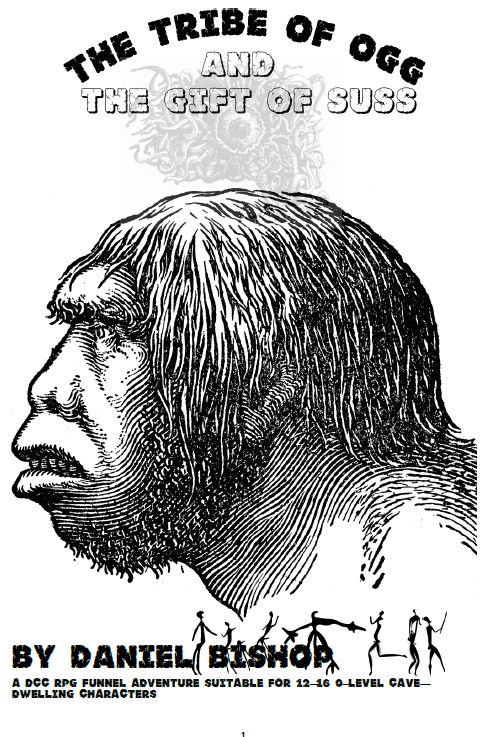 Two of these powerful creatures escaped into the underworld drawing champions and enemies from the complex societies found there. As the god-seed grows, the world creeps closer to its doom. The Mermaids from Yuggoth Attack! 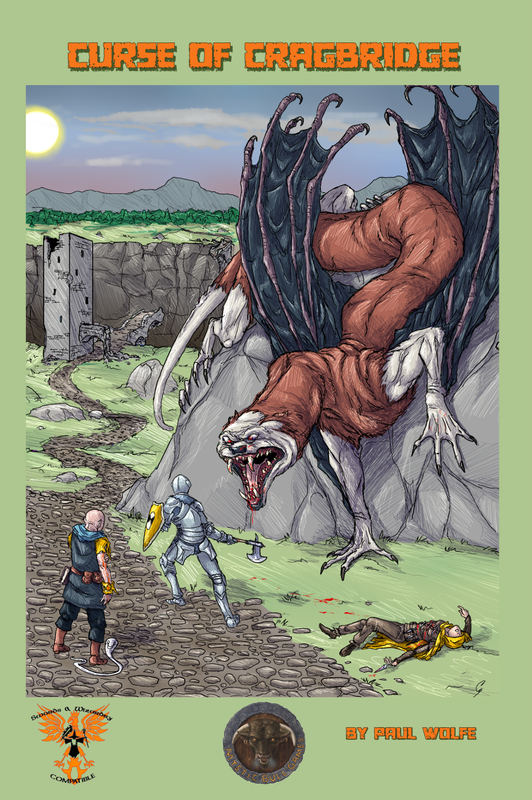 Your players have ransacked dungeons and slain mighty beasts, rescued the helpless and thwarted the sinister plans of demons. But they have never seen anything like the strange items, blasphemous rituals, or horrors that await within these pages. Lurking herein are twelve short encounters for the Dungeon Crawl Classics roleplaying game. Judges can use these scenarios as one-off’s or as jumping-off points to further wierd pulp adventures. Each encounter includes a unique monster, and the book is packed with treachery, novel twists, and horrible predicaments. 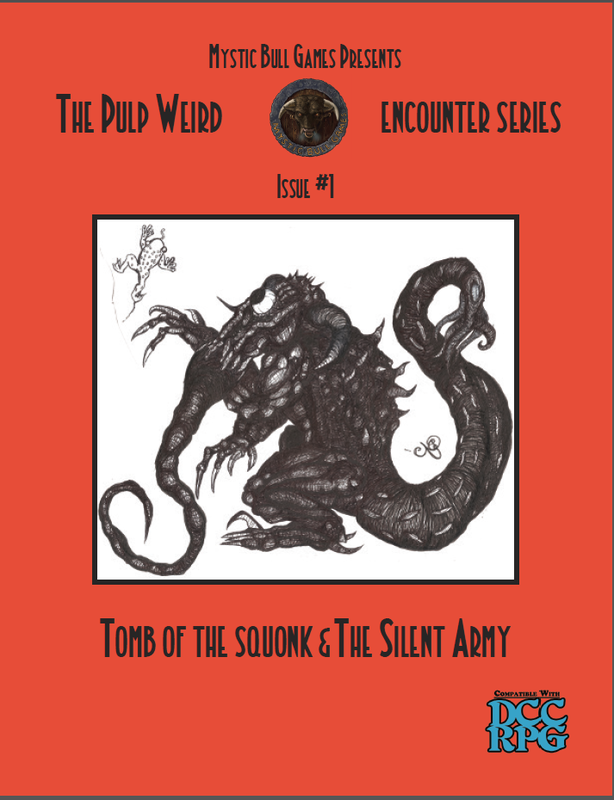 Whether it’s the Squid Sorcerer, Umbo the ape witch, or Malagok the Creator Beast, these encounters recall a tradition pre-dating orcs and elves when the pulp fantasy realms were just weird. 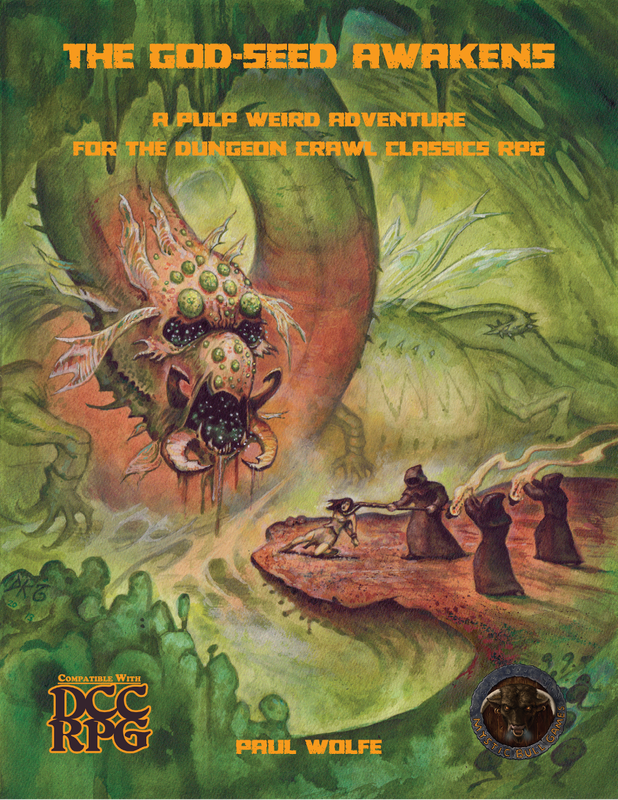 Reviews: Iron Tavern Tenkar's Tavern AppendixM TheRPGSite What Would Conan Do? More Galaxy War 1939 content please! It is very well done.